The Ho Chi Minh City Department of Transport said that the city’s smart traffic operation centre is being completed and is scheduled to become operational in February. According to vice director of the department Tran Quang Lam, the centre, the first of its kind in Vietnam, is being developed from the Saigon River Tunnel Management Centre. 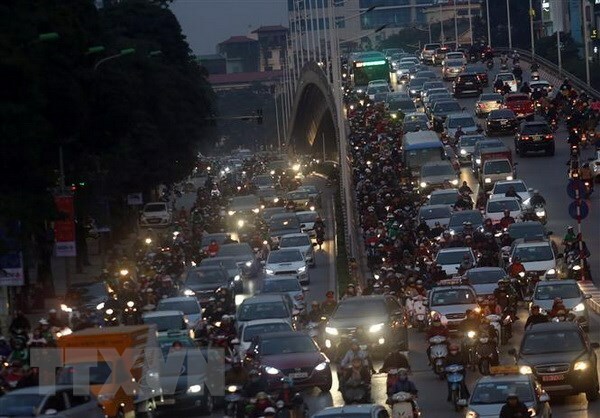 Currently, it has been connected with 188 transport points in inner districts 1, 3, and 5; as well as Phu Nhuan and Tan Binh districts. The remote control system is now ready for operation, while plans for daily and seasonal automatic operations are being designed. Last year, the Saigon River Tunnel Management Centre started connecting the centre with all traffic cameras, electronic traffic boards, and traffic lights all over the city’s downtown, as well as in Tan Son Nhat International Airport for better management and operation. Le Minh Triet, Director of the Saigon River Tunnel Management Centre, said that the synchronisation work will finish in February this year. The centre will control traffic by directing traffic lights, supervising traffic, measuring the number of vehicles, and adjusting the operation of lights to suit real conditions. Triet revealed that six additional automatic speed cameras will be installed on Nguyen Van Linh street and on National Highway No. 1 to support the handling of speeding violations. At the same time, the municipal Department of Transport is developing a model to simulate the city’s transport demand, which will be able to manage traffic flows in the city’s road system and evaluate the impacts of urban areas and buildings to transport demand. The model is expected to help management agencies forecast future traffic conditions as investment projects are implemented.